The Green New Deal and “Medicare for All” are old news. The hottest position in the Democratic presidential field this week is abolishing the Electoral College. It’s the latest push by White House hopefuls to embrace a procedural tactic to rally the Democratic base, following similar calls to scrap the filibuster and increase the size of the Supreme Court. 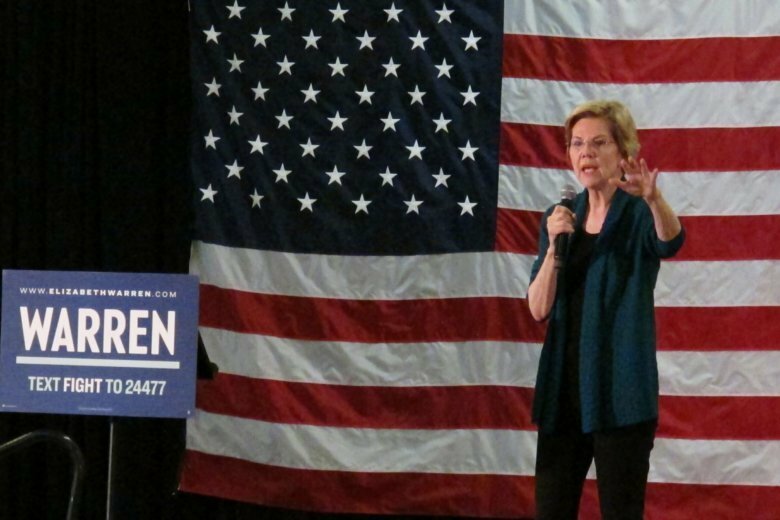 The 2020 candidates are tapping into Democratic anger after Donald Trump became the second Republican in five presidential elections to win the presidency through the Electoral College while losing the popular vote. The Electoral College, a group that comes together every four years to technically elect the president, is enshrined in the Constitution and won’t be easy to eliminate. O’Rourke suggested a constitutional amendment to award the presidency to the winner of the popular vote. “The way to do it is through state action and we would welcome Sen. Warren, President Trump, anyone who believes” in the popular vote, said Rosenstiel, a self-described “lifelong conservative Republican” who grew tired of his vote not factoring into presidential elections in reliably Democratic Minnesota. Though the Electoral College favored Trump in 2016, and some analysts predict it could give him an edge in 2020, it is not necessarily a pro-GOP institution. During Barack Obama’s presidency, many predicted he may benefit from an Electoral College advantage. That led to criticism of the institution at the time from some Republicans, notably, Trump himself. “The electoral college is a disaster for democracy,” Trump tweeted on the evening of the 2012 election, before it was apparent Obama had also won the national popular vote. Now that the institution made him president, Trump takes a warmer view. “The Electoral College is actually genius in that it brings all states, including the smaller ones, into play,” he tweeted Tuesday. But defenders say the current system almost always lines up with the popular vote and is part of the way the country’s founders wanted to check popular passions and encourages attention to small states that may otherwise get passed over.